When I was a high school student not too long ago, $100 was a lot. When I started working my first job in high school and had a couple hundred dollars in my bank account for the first time, I was sure I was rich. I felt like I had so much money and had unlimited options to use it. Try this exercise to find out what your college costs per class and what the best way is to save money on your college tuition. If you are feeling overwhelmed by the cost of college, it is okay. I have been there. Forty thousand dollars is an abstract amount of money. Before my first real post-college job, I don’t think a semester’s worth of college costs even passed through my hands (or my bank account). To help realize what this means, and how much money college will cost you or your family, you have to break it down. My mom showed me this trick when I was a high school junior, I hope it helps you. The theory is if you break down your college expenses to a more tangible number, you will have a better understanding of the value of your education and take advantage of this luxury you have worked hard to earn. For me, I skipped fewer classes, took advantage of the resources my school had to offer and was more conscious of how I spent my time because I knew that every minute I was at college, it was costing myself and my family. 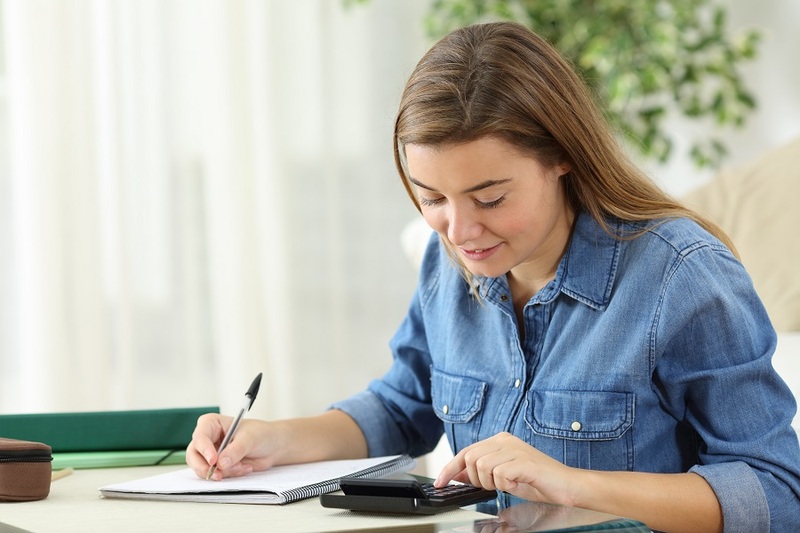 In an excel spreadsheet or with a pen, paper, and calculator, you are going to collect the data needed to determine the cost of each individual class, each hour you spend in class, and how much a ‘credit’ costs. If you will be living in college, include room and board. Even though that money, and other portions of tuition, are not used on the academic process, you would not live there, or participate in the activities, if you were not enrolled in a full semester of classes. The example is of my alma mater’s 2018/19 tuition costs. Hopefully, you now have a deeper understanding of what it costs to go to college. If your parents are paying for your college, this may help you understand why they are getting a little stressed and continue to nag you about how important it is you commit to your education. They are investing a lot of money in your future. Keep these numbers in mind as you choose a school and while you are there. How much will it cost you if you skip a class to nap or do homework for another class? In my case, each time I skipped a class, I wasted $140.87 of my parent’s money, my personal loans, and the college’s money as this is the aggregated data for my college tuition not including the federal aid and scholarships that helped get me through college. Knowing this had me second guessing skipping class, homework, or taking classes I wasn’t interested in, which ultimately made me a better student. And while this data breaks down how much each class costs, your tuition does cover other things (which is why it is so expensive). Your tuition also pays your professors to help you during office hours. Tuition costs are used to fund sports teams, activities, student governance, clubs, buildings like the library, etc. If you do not get involved on campus or utilize the resources provided, you are wasting money. Are you sure you're choosing a college that's the right financial fit for you?